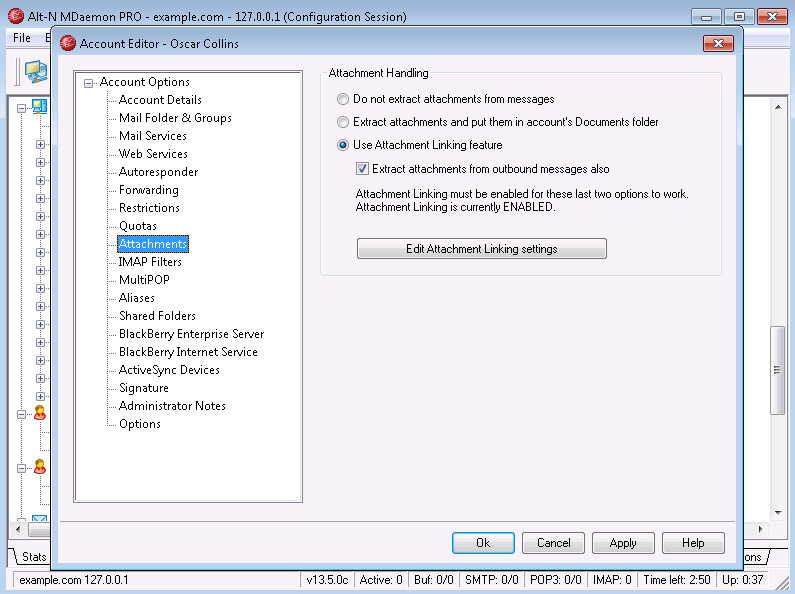 MDaemon 13.5 now available – Outlook 2013 support and lots more in the Exchange alternative for SMB’s! 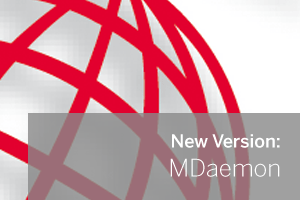 Yes, the latest iteration of MDaemon Messaging Server is upon us! This most recent version of the popular Microsoft Exchange alternative for small businesses is only a point release – you could easily mistake it for a major update given the size of the release notes. Quickly and easily synchronise your personal email, calendars, contacts and tasks between the latest version of Outlook and your Android or iOS devices. This also includes things like support for replied/ forwarded flags which all help ensure what you’re seeing in Outlook really is what’s on your phone or tablet. 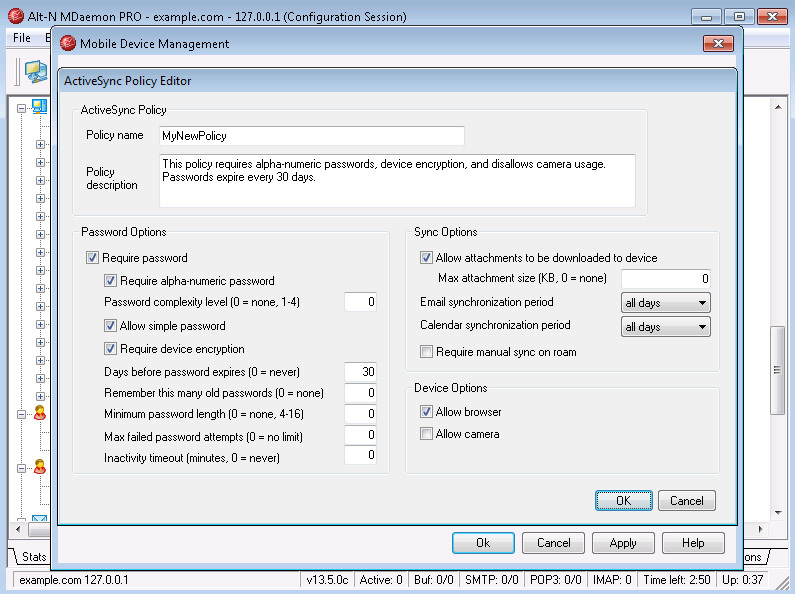 Alt-N Technologies are really pushing development of their ActiveSync capabilities in MDaemon and this release shows yet more signs of that with a raft of new features. 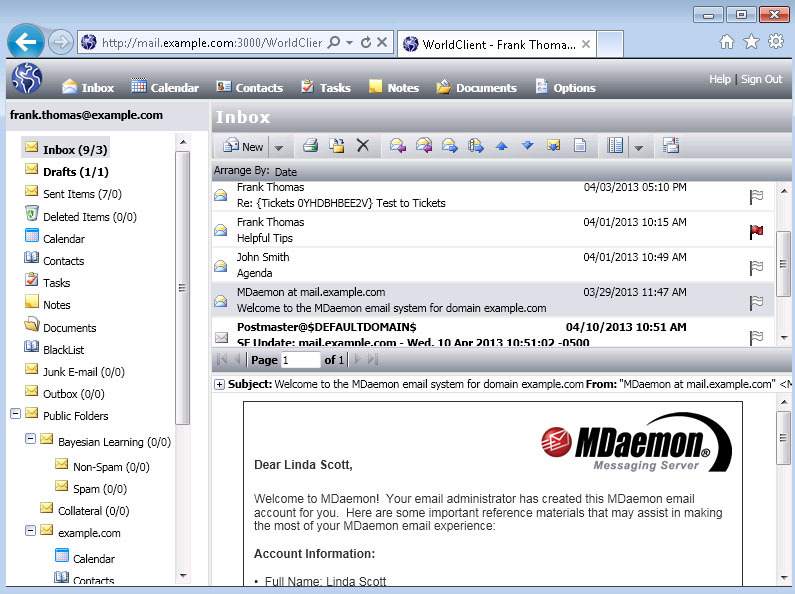 Those of you who access your mail on the move or perhaps who just prefer not to use a desktop client will be pleased to hear MDaemon’s fantastic webmail service has also been given a major facelift. Worldclient been modernised with a fresh new colour scheme, graphics and of course some under-the-hood performance improvements. One of the things that makes MDaemon so popular with Administrators is the visibility it provides which is unlike many competing products. Note we have tested it and you can also change the black background if it’s not your thing! Sending large files via email can cause all sorts of headaches for recipients so MDaemon now offers the ability to automatically remove any attachments beyond a certain size threshold from outbound messages. Doesn’t sound great I hear you say! Well files that meet criteria set by you are removed from the message and replaced with a link to a local copy for the recipient to download as and when they wish. In a similar vein to those found in Microsoft’s Active Directory, administrators can now organize user accounts into groups and then use templates to batch apply settings features. 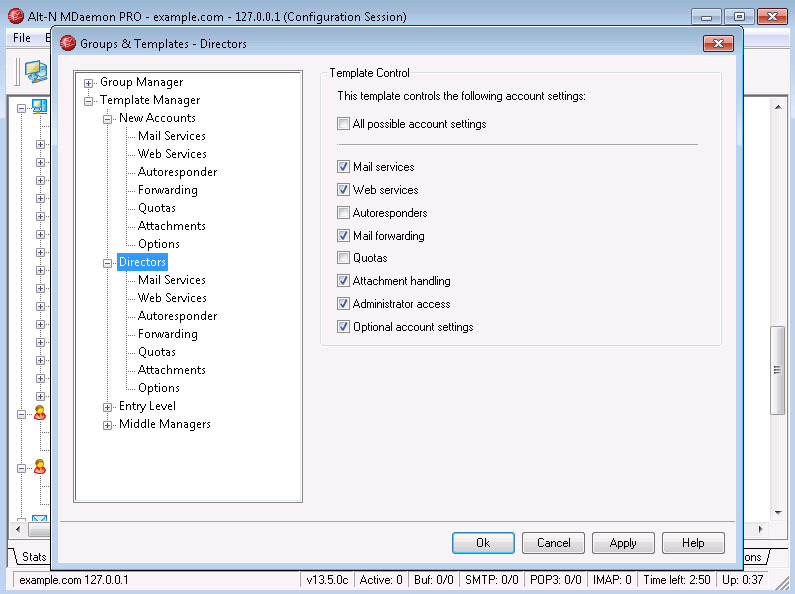 Templates can control all or just select portions of an account’s settings. You can decide what portions of an account’s settings are to be part of a template. If you use multiple domains with your MDaemon server, you’ll be pleased to hear there are improvement here too. In 13.5 you have the ability to control many of the settings which were previously only available on global basis, by domain via a new single domain manager interface which makes it all very simple indeed. 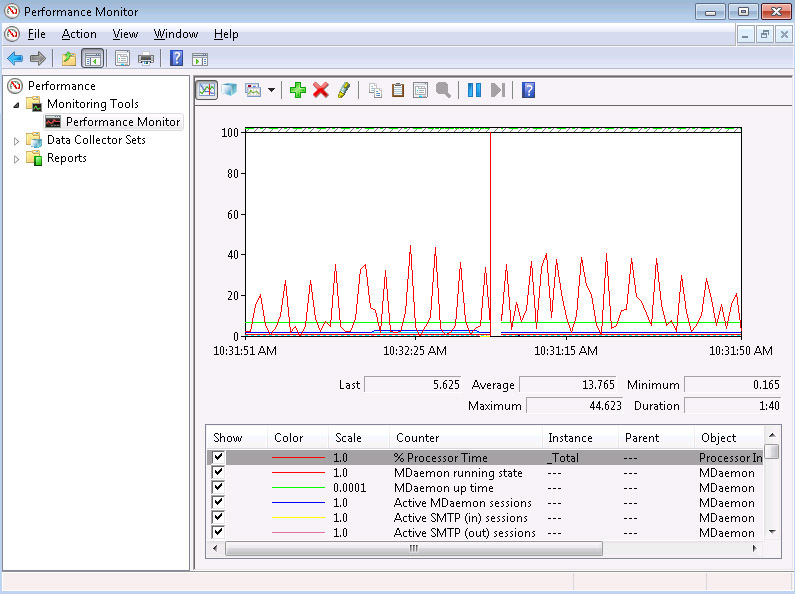 New performance counters allow monitoring of MDaemon in real-time via the Windows Performance Monitor or existing IT management/ monitoring tool. There are counters for the number of active sessions for the various protocols, number of messages in the queues, server active / inactive states, MDaemon up time, and session and message statistics. We’d love to hear how you get on with these if you’re a user of such tools! Provided your upgrade cover is current (you can check here), you’ll be entitled to the latest version which should simply install over the top of your current deployment provided it’s version 9 or later (always take a backup of your MDaemon folder though just in case!). Latest installers can be found here, as can the full release notes.